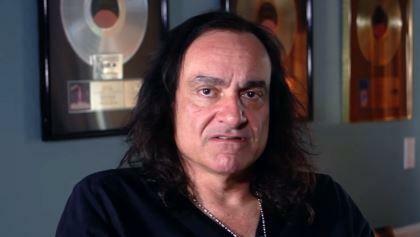 Former Dio and Black Sabbath drummer Vinny Appice posted a message on his Facebook page about Jimmy Bain's death. You can read the message below. Vinny Appice wrote: "Yes, it's true our brother Jimmy Bain has passed and we are very sad about the news and in shock. We, the band, are also saddened that the news leaked out before we were able to contact Jimmy's family. Within an hour and a half, it was all over the Internet and confirmed by people that have no business confirming anything about this and not knowing the facts of the situation. We apologize to Jimmy's family and Jimmy's memory about this nonsense that seems to prevail on the Internet to be the first one to post something and attach themselves to a tragedy like the loss of our brother Jimmy."